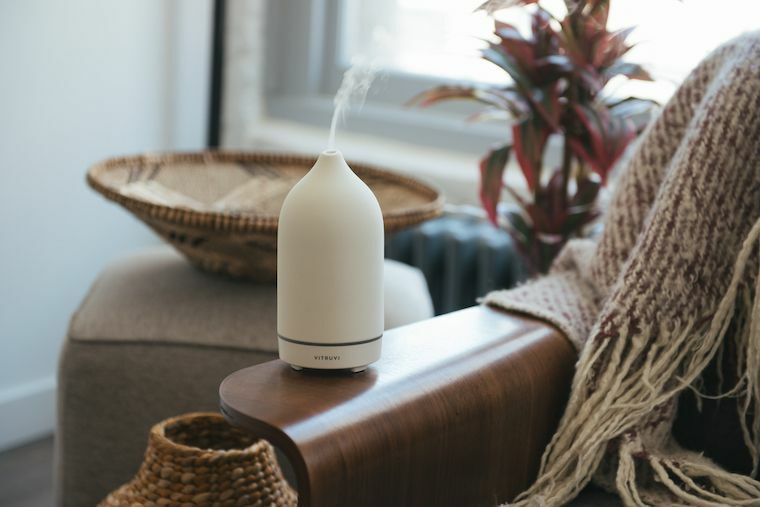 Essential oil diffusers do the important job of dispersing mood-boosting essential oil blends into your office, home, or bathroom sanctuary, so the actual design of them shouldn’t matter as much as the function—right? The thing is, the diffusers you can find in the aisles today do more than just their job—they’re increasingly, well, cute. (Have you seen the unicorn diffuser?) But there’s one, in particular, that has already reached cult-fave status, enough so to have accumulated a waitlist of 8,000 savvy shoppers. And that’s not an exaggeration. I’m talking about the White Stone and Black Stone diffusers by Canadian brand Vitruvi, both of which are minimalist-chic (their combined waitlist is 8K). Made out of porcelain, these are handcrafted and use ultrasonic technology to sprinkle your life with essential oils (for a modest $119). “The diffuser is unique in that it is made like a traditional ceramic piece of pottery,” says Sara Panton, who co-founded the brand with her brother. “The ceramic cover is hand-created and air-dried before going in the kiln to be fully dried. Each piece is then painted and the hole in the top is drilled by hand.” In short, they’re made with love. I have one puffing away on the editorial table in the office, and I must say it’s pretty to look at. If you have the patience, I highly recommend getting in line, tbh. As you wait, these are the 10 essential oils that everyone should have. And this is the beginner’s guide to mixing essential oils (you know, so you’re prepared).